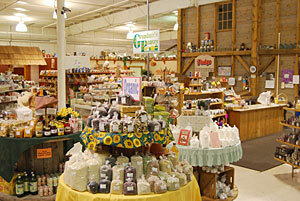 Grandma's Pantry is located in the heart of the Shenandoah Valley of Virginia and was founded in 1987. We have grown to be one of the best bulk food stores in Virginia and possibly the Nation. Our store and staff reflect our values that come from strong commitment to tradition, family and community. Grandma's Pantry stocks thousands of value priced products, and we pride ourselves in providing only the best quality products available at the lowest possible prices. We think you will agree that our store and our staff will make you feel right at home. Our "Bulk" products are always priced per pound. When you order online we DO NOT ship until we have confirmed your order by phone, providing you with the exact weight and price of bulk packaged items and total dollar amount of your order. Please review Ordering Information for more details about ordering.